I did get a surprise visit by yes you guessed it, â€œMr. 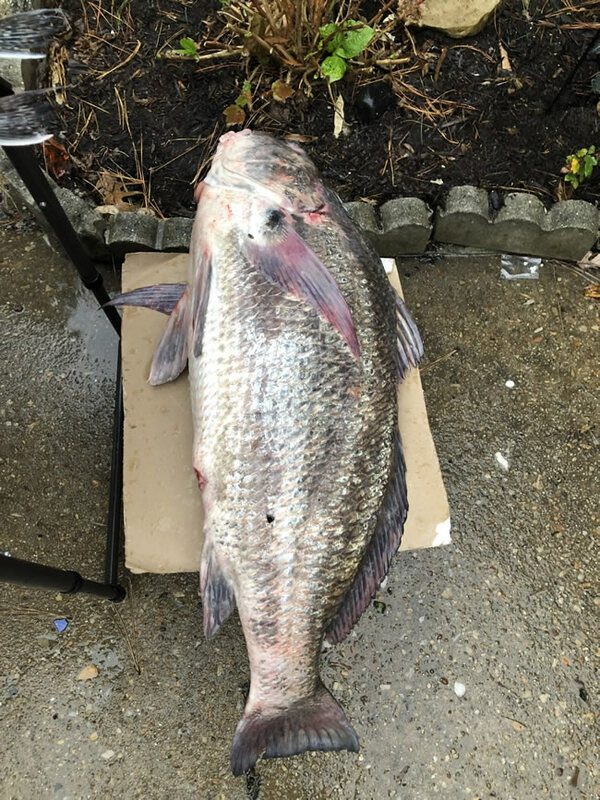 Feistyâ€� black drum , who put my already injured left wrist to the test, but despite some wrist discomfort during the fight and after, I still think I passed the test, ( see photo ) ha ðŸ™‚ We used cut bait today with 5/0 hooks on double dropper loop sea bass rigs. and I also did some jigging today. Hope Everyone is staying warm and dry tonight. I also wish to extend a special thank you to all the veterans out there , this nation would not be as great as it is without your incredible sacrifices and service to our beautiful country . Thank you ! & Happy Veterans Day. Roll out the Barrel& Weâ€™ll have a Barrel of fun!